General Surgery Associates always appreciates feedback from our valued patients. To date, we’re thrilled to have collected 22 reviews with an average rating of 4.64 out of 5 stars. 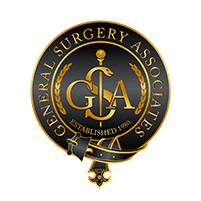 Please read what others are saying about General Surgery Associates below, and as always, we would love to collect your feedback. I felt very comfortable after meeting with Dr. Gabriel; he is very informative on all the possibility procedures to treat my colon mass. I was in so much pain and miserable for almost 3 months. He made me feel calm and was able to schedule me to have the surgery in several days after the appointment. I finally needed a open surgery to remove the mass. The Surgery was successful and smooth; my recovery was much quicker than I was expected. I was able to go home in 5 days after the surgery. Thank you to Dr. Gabriel, he is such a talented surgeon who has great bedside manner and very knowledgeable. Dr Davis is great! But some one was supposed to call us about 2 test Dr. Davis ordered. I took the test over 2 weeks ago and no one has followed up. Called twice left voice mail for someone to call me back. I think her name is crystal in back office, still no return call. Very disappointing! Dr. Davis listened to my concerns and answered my questions clearly. He treated me with dignity and respect. Had a very painful procedure. Doctor Blair was very helpful about all the information and pain I would experience after surgery. She’s very quick at answering calls and questions patients may have. Her staff was also very helpful, encouraging and professional. Great service over all! January 30, 2019 John S. Davis M.D. repaired my right indirect inguinal hernia using the laparoscopic procedure. 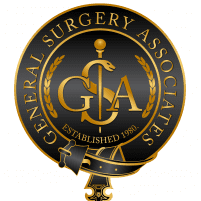 Super nice man, excellent surgeon, awesome staff at General Surgery Associates. Thank you! I want to thank God for Dr Fusco! During my surgery he found a cancerous tumor that would have gone undetected if he wouldn’t have taken the extra time and care! i felt completely comfortable after meeting John Davis to do my surgery after talking to him he made me feel calm about the whole situation. I was completely scared to go get surgery done because I felt like I wasn’t going to wake up but since I woke up he is my favorite doctor. Muy profesional, y su personal,muy responsable y atentos. I needed the surgery right away and he was able to squeeze me in the next day without me having to go to the ER. Everything was good. Everything thing was grate since my first visit to determine my problem that was a hernia then at the day of my surgery and till my extra visit to the doctor just to check that my recovery was 100% on the right standard. Thanks everyone. Dr Fusco was very informative about my surgery procedure and used plain language to express the process. He has performed two surgeries on me, November 8th 2016 gall bladder removal, and November 13th 2017 for hernia. I am extremely happy with both. On my first visit Dr. Banich was so knowledgeable and personal about my Medical Record he knew all about me. Any question or concern he answered. I would recommend him to anyone .I rate him 5 Stars. Im feeling good, after the surgery. Hernia operation. Smooth as silk!